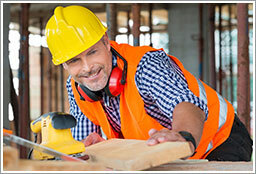 On May 11, 2016, the Occupational Safety and Health Administration (OSHA) published a final rule revising its Recording and Reporting Occupational Injuries and Illnesses regulations. In addition to addressing many aspects of the claim reporting process, OSHA has prohibited employers from using drug testing (or the threat of drug testing) as a form of adverse action against employees who report injuries or illnesses. They indicate that employers should limit post-accident testing to situations in which employee drug use is likely to have contributed to the incident. So what does that mean to you? If you have a post-accident testing program that requires testing after any and all injuries, you will need to re-evaluate your program and implement changes by August 16, 2016. This is when the part of this rule takes effect. If you have questions about whether or not your current policy will be in violation, please contact me so that we can discuss.